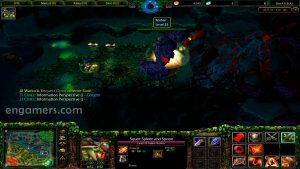 Dota 6.88 ai is the latest dota ai map created by a Chinese member and translated to english language. This map is a beta version based on DotA 6.85k, and includes various bug fixes as well as synchronization some items to the 6.88 for RGC. 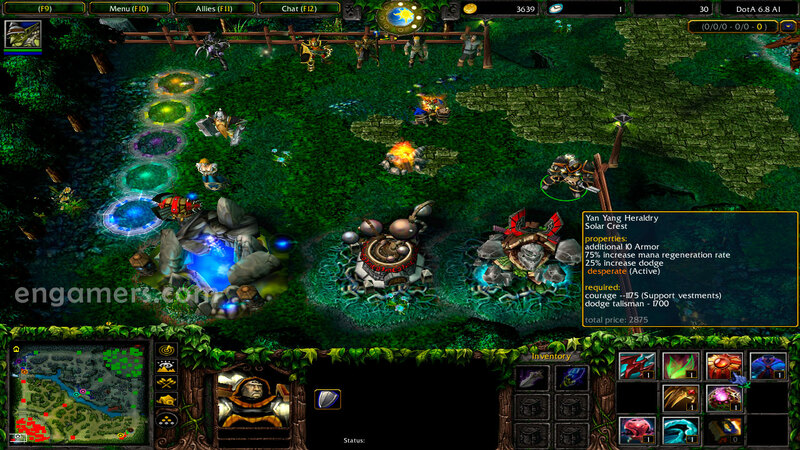 This Dota AI (Artificial Intelligence) version allows you to play against heroes managed by the computer (Bots), these bots can be configured to be enemies or allies in a match, you have the option to choose against which heroes to play (read commands), as well as select its level of difficulty in the game. This AI map also allows allows you to create games in “Single Player” or create offline games on LAN (“Local Area Network”), to play with your friends at cybercafe or LAN Center. Dota 6.88 Ai includes the following new items: Dragon Lance, Faerie Fire, Solar Crest, Octarine Core, Book of Knowledge, Blight Stone and others and others improvements. * This dota ai map doesn’t work with the patches 1.27a, 1.26a or before. I.- ERROR: “The map file is too big. Please choose a different map.” (when trying to play on LAN). * Solution 2: Use Warcraft Version Switcher to upgrade or downgrade your Warcraft version to 1.27b <-> 1.26a. * Solution 3: use the game.dll file of your 1.26a patch: “game.dll for LAN” (unzip and copy game.dll file in your warcraft folder, but first make a backup of your current game.dll file). * Solution 4: use the patch fixer: “Warcraft III bypass map file size limit” (Just unzip and copy the forcefixsizelimit and GameDll_fix_mapsize_limit.mix files in your warcraft folder). * All players need the same game.dll file/patch to play on LAN. Only use these dll/bypass in offline mode (LAN), never to play online, some servers detect it as a hack map / cheats, and you can be banned. II.- Some Items and abilities/attribute bonus doesn’t work. Unfortunately at this moment there is no solution, this is a test map, we just have to wait for the next update. You can see more dota ai maps here. – Item price 6.88 basic synchronization. 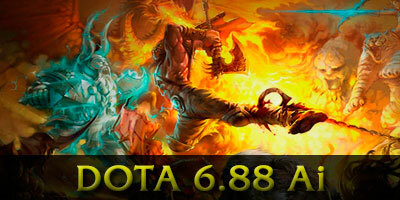 – Modify some of the items to synchronize DotA 6.88. – The config.dota file is not supported. 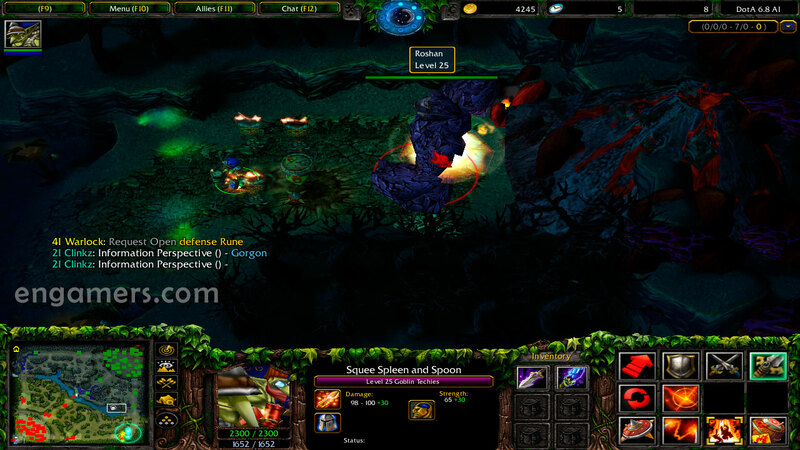 – You need to copy the DotA 6.88 Ai map into your Download/maps folder of WarCraft III…. – This ai map is still an unofficial beta version (currently under development), during its operation there may be crashes or errors during the game. – The “Attribute bonus” and some items doesn’t work. 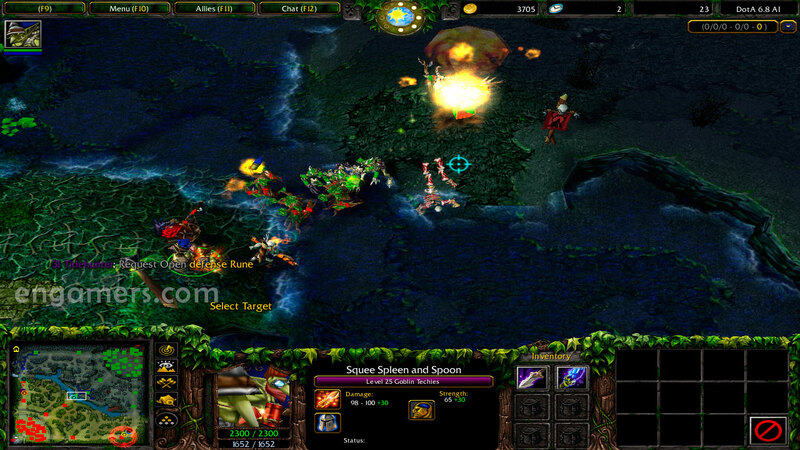 – Other recommended ai maps: DotA 6.83d Ai, DotA 6.81b Ai, and others dota ai maps. – This version Support 1.27b, 1.28.5 (+1.28x), 1.29, 1.30 patches.